Synopsis Throughout the centuries, bowls, one of the oldest of all sports, has captivated many famous people: William Shakespeare probably played; Henry VIII certainly did; Doctor W G Grace founded the English Bowling Association; Walt Disney was a bowls nut; and everyone knows the story of Sir Francis Drake. 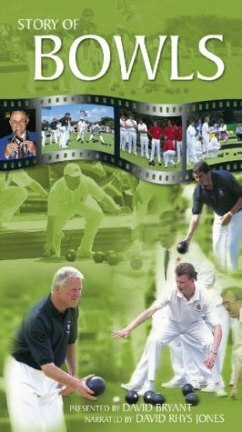 This DVD reveals some little known facts about the origin of the sport and contains some remarkable footage of the best players in action. Sit back and watch the greats of the game from David Bryant to David Gourlay, Tony Allcock to Richard Corsie and Peter Belliss to Willie Wood. All are featured and many interviewed about their greatest moments in the game. The magic of the World Championships - indoors and out - is caught on camera, as well as some of the best action from the Commonwealth Games over the years. The action is brought right up to date with Tony Allcock's incredible victory in the 2002 World Indoor Championships. Forget the sedate image - this sport is full of tension, drama and excitement, as well as unbelievable skill. The stock and intellectual assets of Green Umbrella, the original publishers of this DVD, were acquired by Duke Marketing in 2007. As a consequence of this acquisition two different regionally-coded DVDs are currently (October 2008) being marketed: Region 0 and Region 2. You'll find helpful information on regional codings here that will assist a possible purchase.